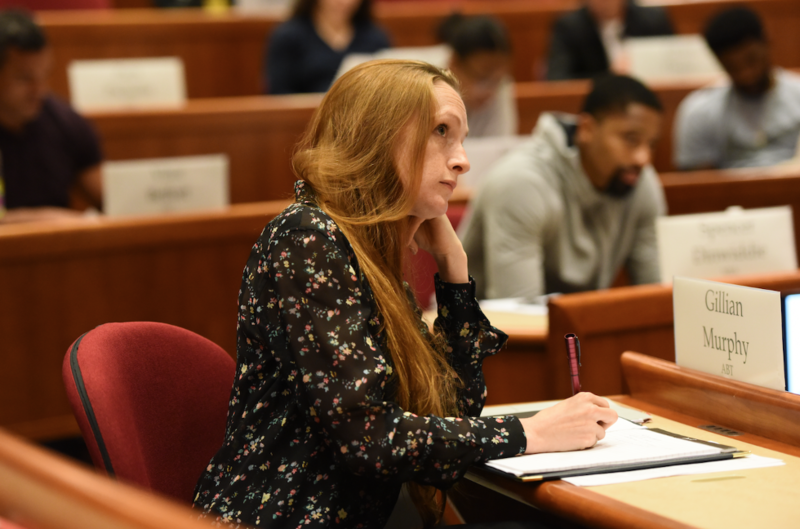 Gillian Murphy in class at Harvard Business School. Photo Courtesy HBS. Last month, the five dancers chosen by application headed to Cambridge for a two-day orientation; the rest of the program is done remotely. "We got to sit in on a couple of classes and just listen, and then have some discussions in smaller groups and participate in our own case study with Anita," says Murphy. The dancers got along with the athletes right away. "It was a really fun group, and we had a lot of mutual respect for each other," she says. The roughly 20-person group included players from the NBA, WNBA, NFL and MLS. 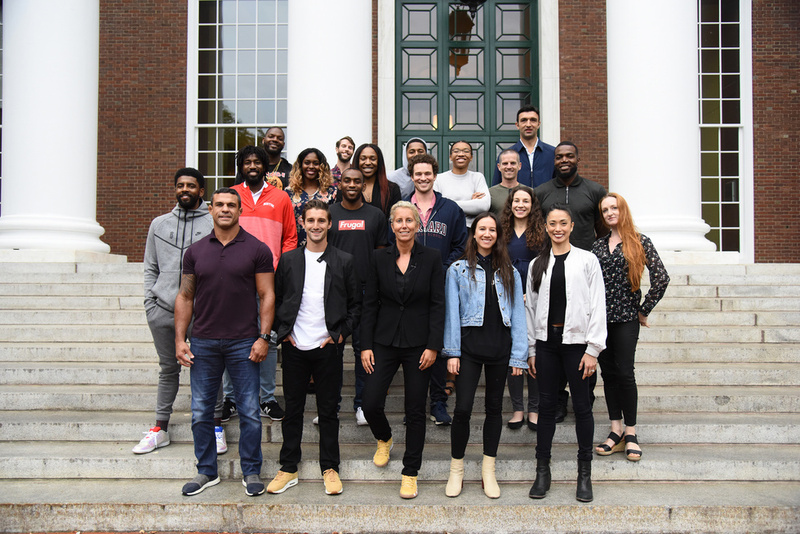 On the final day the participants were paired with full-time HBS students to act as their mentors throughout the rest of the semester. For Murphy, picking mentors who specialize in her area of interest was important. "A couple of them had a marketing background, and said that they understood transforming brands," she says. "That was interesting to me in terms of thinking about how to apply some of the lessons we learn from this course to the ballet world, making ballet more popular for the general public without compromising the great tradition and classicism of the form." The full group of Crossover Into Business participants with Elberse, center. Photo Courtesy HBS. Since returning from Cambridge, the dancers work on their own and meet with their mentors via Skype once a week. Murphy is squeezing in her studies alongside a particularly busy rehearsal period. 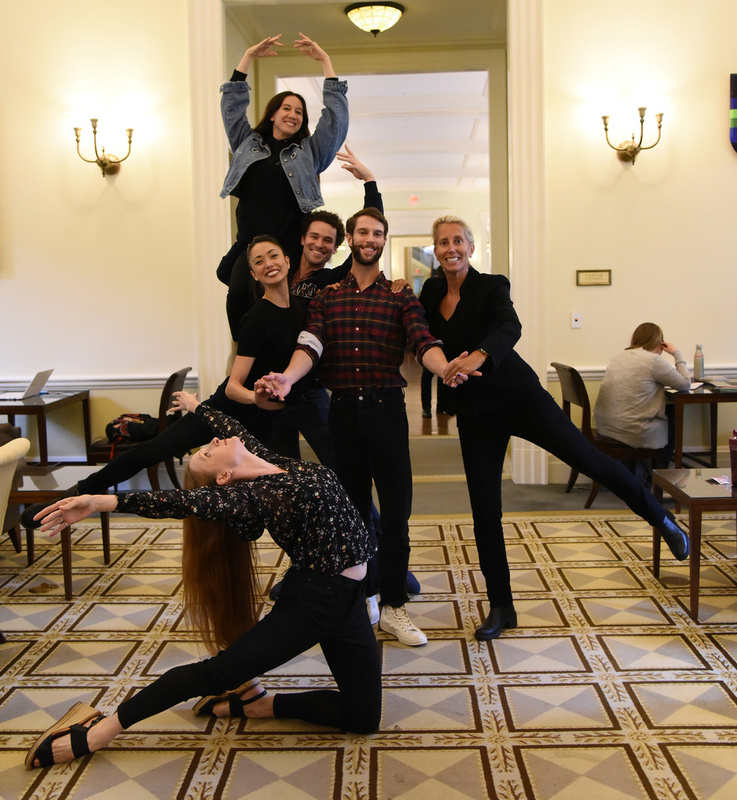 "I love seeing the dancers reading HBS case studies and doing their homework in the ABT lounge," says Barnett. For Murphy, who recently graduated from St. Mary's College, Harvard's unique case method has been an interesting change. "Instead of being lectured about which is the right answer or the exact approach, it's about arguing the different sides and making the best choices considering the information," she says. Most of the case studies Murphy has received so far are focused on aspects of the arts world. "If we were full-time HBS students the studies might be more technical and focused on crunching numbers," she says. "It's a really wonderful opportunity to enhance our business skills while we are continuing to develop our artistry." Elberse joins the ABT dancers in bringing a bit of ballet to HBS. Photo Courtesy HBS. All parties involved are hopeful that this program will be open to more dancers in the years to come. "When we were in Cambridge we were all getting a bunch of direct messages from fellow dancers asking about the program and wondering if it would be offered again. There's definitely a big interest," says Murphy. Barnett adds that ABT is currently in conversation with HBS about adding additional dancers for the future. "The language of business can be intimidating," she says. "I know it was to me when I decided to apply to business school after years working in theater. I hope that the Crossover program gives the dancers a basic vocabulary, a problem-solving toolkit and relationships with classmates and mentors who can help them pursue ambitious goals during and beyond their performing careers." Murphy's not sure what the post-performance chapter of her life will hold, but she's certain that this experience will help her to ease the transition. "If I continue to teach and coach, it doesn't hurt to have worked on becoming more articulate and developing leadership skills that are implicit in making these arguments," she says. "And if I were to go in the direction of becoming an artistic director one day, I think a greater business sensibility would be most helpful."